Mel Robbins is a powerful motivational speaker delivering interactive keynotes that inspire change, challenge thinking and accelerate personal and business growth. Her TEDx Talk on "How To Stop Screwing Yourself Over" has over 3 million views, and her book on the brain and productivity, “Stop Saying You’re Fine”, is a business bestseller that has been translated into four languages. She started her career as a criminal defense attorney and went on to launch and sell a retail and internet technology company. Mel is currently one of CNN’s most popular on-air commentators and opinion writers; her articles on human behavior drive tens of millions of page views for CNN.com. Mel has an extensive television résumé as an expert on human behavior and motivation for Good Morning America, Dr. Phil, Dr. Oz, Oprah, The Today Show and Fox News. She was named America's Outstanding News Talk Show Host at the 2014 Gracie Awards. Don’t miss the opening Keynote, The 5 Second Rule: Achieve Breakthrough Performance in Your Career & Life on Sunday, August 21 at 2:30 pm. Three million people have learned the secret to reaching their true potential - now it's your turn. You are meant to do extraordinary things in your career and your life and the 5 Second Rule will help you achieve it. In her viral, globally praised TEDx talk, Mel demystifies neuroscience research on the brain and the latest social science research to explain why and how you screw yourself over every day. You'll learn how to identify the mistakes you're making and learn how to create lasting behavior change within yourself. You'll also discover one radical idea that will forever alter how you approach life. You’ll leave this session feeling deeply inspired, empowered and equipped to tackle your professional and personal dreams. 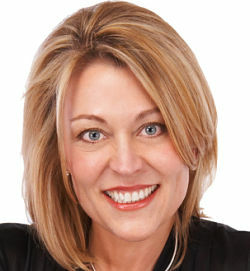 Colette Carlson, founder of Speak Your Truth, Inc. is a human behavior expert, author and humorous keynote speaker who shares the tools, terminology and techniques that encourage people to excel. With a Master’s in Human Behavior and a fascination with communication trends, Colette delivers the latest research letting the facts support the fun. She writes a monthly column for Business Management Daily and has been featured in Success and Working Mother magazines. Colette learned her message the hard way. She started out a big liar. Literally! Only by telling the truth on herself and admitting her fears did she break through her complacency, lose 50 pounds, and step into a bold, commission-only sales livelihood. Join us on Tuesday, August 22 at 7:30 am for Colette’s keynote, Stress Less: YOU Management vs. Time Management! The truth is whether you are in leadership, sales, or the front line you are expected to produce more in less time with fewer resources, while staying positive and engaged. The reality is we are stressed out, tightly wound, and exhausted trying to meet and exceed expectations. We have the best intentions that seem to go out the window before lunch as we are constantly changing schedules, demands and priorities. Too often lunch gets skipped or inhaled while hunched over our desk. Enough already! Create the focus, energy and mindset necessary to make healthy choices in our 24/7 world. It's no longer about time management, it's about YOU management. Get ready to laugh-out-loud and walk away ready to make positive, long-lasting change the next day. 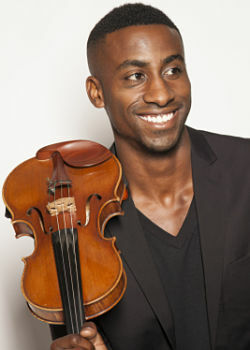 As a classical violinist turned innovative composer, Kai Kight uses music as a metaphor to inspire individuals and organizations across the world to compose paths of imagination and fulfillment. Inspired by his own mother who, when diagnosed with cancer, revealed regrets of not bringing her ideas to the world, Kai is on a mission to spark a global mindset shift in which ingenuity is the norm, not the exception. 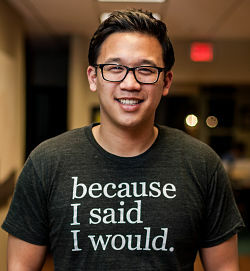 Attend Kai’s inspirational and unique keynote titled, Composing Your World, Tuesday August 23 at 7:30 am! Composing Your World Why do some people just play the notes they are handed while others write new music in the world? In his captivating presentation, violinist Kai Kight will tackle this question, perform original music and share the inspiring story of how he became an innovative composer in a field of conformity. This session will leave you feeling inspired to take your future into your own hands and bring your unique ideas forward. In just two years, because I said I would has sent over 3.15 million promise cards to over 153 different countries. The promises written on these cards have made headlines around the world. His charitable projects and awareness campaigns have been featured on ABC World News with Diane Sawyer, CNN, The Today Show, NPR, The Los Angeles Times and many other programs. In his keynote, because I said I would, Alex speaks about the importance of a promise. Alex has sparked a movement based on a simple premise that you can better humanity through believing in the importance of a promise. Alex’s message will inspire an increase goal attainment rates, encourage volunteerism and improve a culture of accountability.